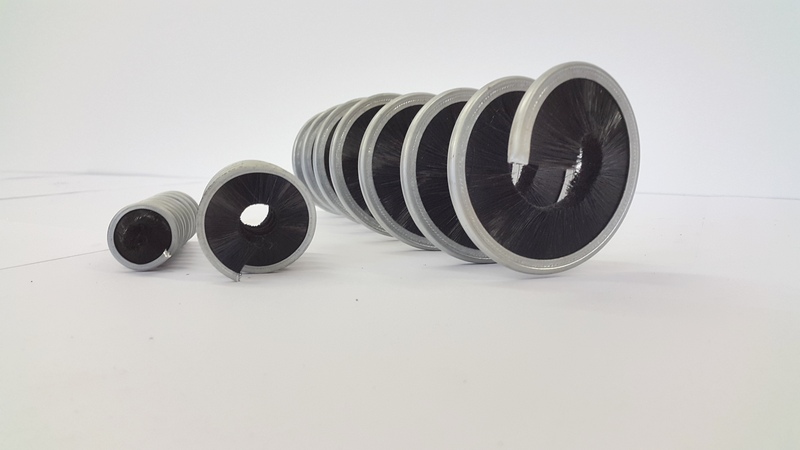 Widdops’ coiled strip brushes are constructed by mounting our standard brush strip product on a rotating core as it’s formed to wind the strip into a continuous helix. The core can also form part of the coiled brush’s function, such as with Trommel Roller Brushes or the brush coil can be taken off the core and supplied loose for different applications, i.e. fitted to the flights of an auger. 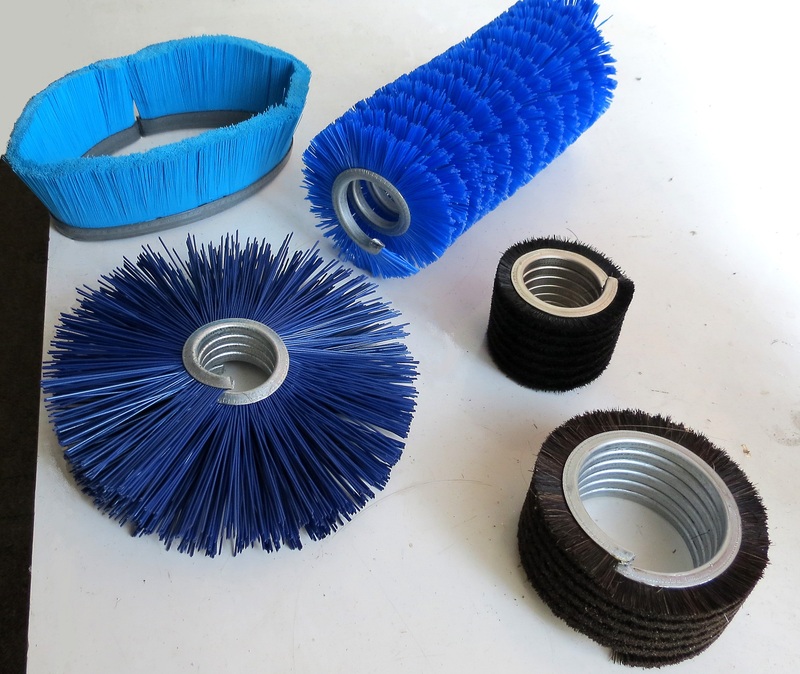 Helical steel brushes are available from Widdops in four base width sizes; 5mm, 6mm, 8mm and 11mm, with our full range of standard filaments, to suit the size of brush strip required. Our helical brushes are widely used in the construction of augers for water treatment and in the food processing industry. 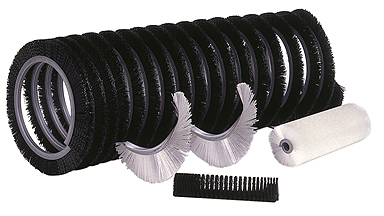 The overall length of helical roller brushes can be up to 4 metres, with a trimmed diameter of 700mm. These size limits ensure that no problems are encountered with handling and delivering. 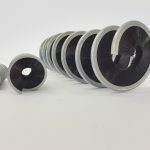 Due to manufacturing limitations, the minimum length available is approximately 25mm diameter shaft with a length of 100mm, subject to the chosen strip size. Our engineering department are able to re-wrap existing helical brush rollers, repair damaged shafts and supply new shafts if needed. 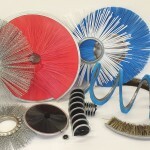 Contact us to find out more about our one-stop-shop service and helical steel brushes. 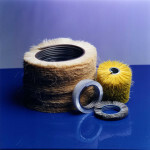 Various applications are suitable for the coil brush; in some case a tufted brush may offer a superior result, or even a paddle brush. 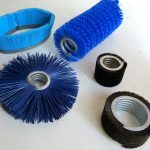 Due to our extensive experience in the use of these types of brush we can advise on most applications, especially for cleaning, sealing and product transfer. This style of a strip cylinder brush only allows for filament movement in two directions as compared to four directions for a tufted brush. Designing a brush coil can be as simple as replacing and improving an existing brush, or it can require the consideration of a large number of variables that need to be investigated before the best bespoke brush for a job is recommended. 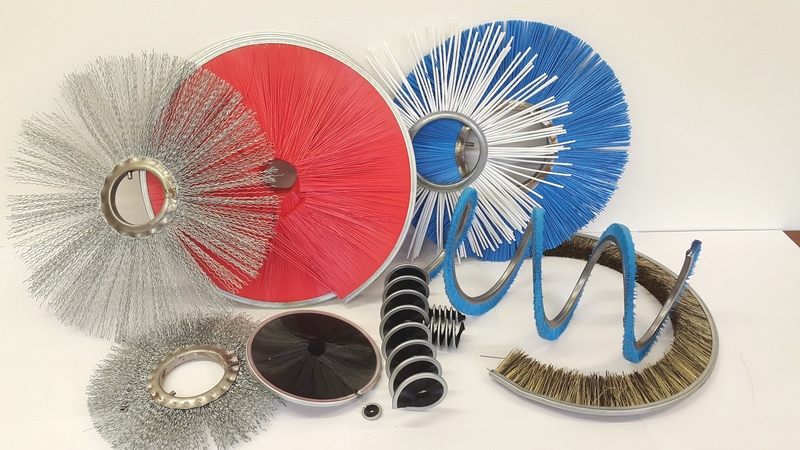 Widdops offer a full service for coiled brushes and engineering for industrial brush use, with a wide range of materials and applications from the food industry where we can resin set filament to glass cleaning.